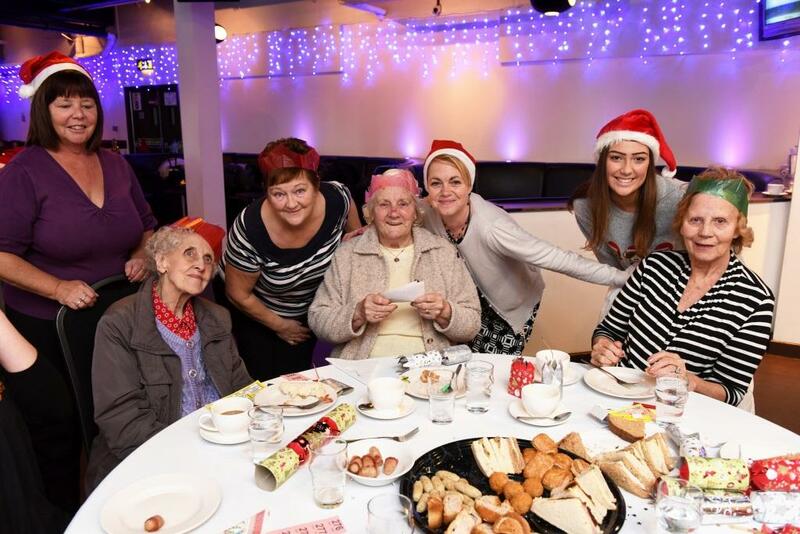 A group of students from Teesside University in Middlesbrough were inspired to take action to support people living with dementia in the run up to Christmas. This entry was posted in Action of the Month, Dementia Friend Sessions, Home, Inspiring Stories on December 21, 2015 by Dementia Friends. ‘I am a Dementia Friends Champion, and my husband attended my first Dementia Friends Information Session some time ago now. Yesterday he went to our local supermarket and when he came home he told me that he had had an encounter with a lady on the way to the newspaper counter. He described the lady as very elegant and debonair looking, she clasped his elbow and called him Malcom and asked what he was doing. He explained he was buying a newspaper and she told him they had already got the papers. With that, another lady, whom he presumed was her carer, stepped in and apologised for what had happened. This entry was posted in Action of the Month, Home on August 25, 2015 by Dementia Friends. Hi, my name’s Marilyn, I did my Dementia Friends Champions training last November, and I’d like to share my experience so far, because to begin with it was rather nerve racking and maybe others have felt the same. I would like to re assure people that once you make that first step it all starts to fall into place. I heard about Dementia Friends through my employers, the Guinness Partnership. (Guinness are promoting Dementia Friends and have a target of 100 staff and 100 customers, becoming Dementia Friends). I was immediately drawn to learn more and become a Champion – perhaps because my mother (who passed away in 2002) had dementia, so I knew what it was like to live with the disease. Once I’d done the training I was really keen to get started, but realised that I’d never stood up in front of an audience and talked on a particular subject before. As a Scheme Manager in Sheltered Housing I’m used to talking to people and holding coffee mornings and meetings, but the idea of preparing (and remembering) enough content to last 45 minutes to an hour and then presenting it in a way that people would enjoy and learn from, suddenly became very daunting. So much paper! How would I remember to say that bit on that sheet, and that bit over the page, oh yes, and the bit about such and such?!! I spent time condensing the most important points into a format that flowed and was easy to follow, (without rifling through lots of sheets). I also typed it out in a large bold font, so it would be easier to see and I wouldn’t lose my place. I spent a lot of time as I wanted to be sure that nothing important was left out, but it was so worth it and my first session went so much better than I’d anticipated. 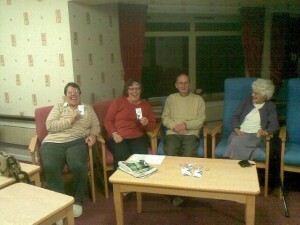 I did it with a group of my own residents and was delighted that 11 of them attended. Once I started speaking, it really did flow; I’d gone through it so many times, actually practising speaking it out loud, and as I said the words ‘I’m passionate about Dementia Friends’ I realised that I really meant it . When you’re speaking about something that you really mean, it’s so much easier. I actually really enjoyed the session, because my residents were genuinely interested and asked questions and talked about their own experiences, some of which were amusing so there was a lot of laughter. One attendee said her action would be to tell all her friends on Facebook, one resident said she’d talk to the organisers at the clubs she goes to and ask if they’d be interested in booking a DF information session, another said she wouldn’t be afraid now, to speak to people with dementia and wouldn’t avoid them, as she’d been doing. Afterwards I felt exhausted but also exhilarated, and ready to do the same thing again. I’ve got three more sessions booked over the next three or four weeks, and I know that it will become easier with each one. I’ve made 21 Friends up to now and hope to have at least 50, when I’ve done my next three sessions, so have confidence and know that you’re doing a great job, it may be a bit scary at first, but once you get a great reaction from attendees at your first session, you’ll be inspired to keep going! This entry was posted in Action of the Month, Home on February 21, 2014 by Dementia Friends.